The Portuguese Kids present: Live, Laugh Linguiça! Sunday, November 18th at 12:00pm! 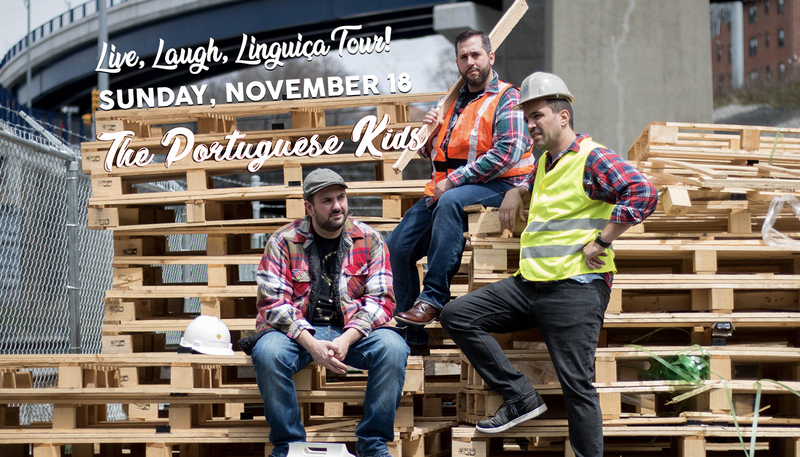 The Portuguese Kids are taking ethnic comedy to new heights with their live shows and viral videos highlighting the funnier side of growing up as a kid of immigrants. Join them for the filming of their comedy special with special guest Mike Rita on The Live, Laugh Linguiça Tour!